Minds in Bloom is thrilled to welcome Lisette from Speech Sprouts today! Lisette has written an informative post about what teachers need to know about stuttering, which is especially helpful when we have students who stutter in our classes. Enjoy! If you are a teacher who has a student in your class who stutters, you may be wondering what stuttering is all about and what you can do to support your student. While dysfluency disorders affect a small number of students, they can be an obvious and significant factor in a student’s ability to communicate effectively in school. Stuttering is a disruption in the smooth flow of speech. Most people stutter or repeat themselves once in a while. But for people who stutter frequently, it can be a problem. A person who stutters may repeat a word or part of a word, interject pauses or sounds like “um,” or stretch out a sound. Some individuals experience “blocks”, when they can’t speak at all for a time. Their muscles may appear tense, and they may have an open mouth or tightly pressed lips, but no sound comes out. Stuttering begins in childhood. Some children experience brief periods of developmental stuttering that resolves; others stutter throughout their lifetime. When stuttering begins before the age of three, 75-80% of children will out grow it. Girls are more likely to outgrow it than boys. Stuttering affects 3-4 times more boys than girls in elementary school. The short answer is that we don’t exactly know. We do know that it can run in families, and there can be a hereditary risk. It is NOT caused by scaring a child or by poor parenting. My grandfather stuttered, and his family was convinced it was because he was chased by a snake as a child. Not true. How Can Stuttering Affect a Child at School? How a student reacts to his or her stuttering can greatly affect their self-confidence and participation in school. I have had teachers tell me they rarely heard their student stutter. But then, he was quiet and rarely spoke in class. This was a student who was avoiding speaking so he wouldn’t stutter in class. Teachers can play an important role in helping a child who stutters participate in school and gain confidence in themselves as a communicator and a student. I highly encourage you to contact your campus speech-language pathologist and ask any questions you may have. Your SLP can discuss your specific student with you and may offer some great tips and suggestions for the classroom. Reduce speaking and time pressure. Stuttering can vary. A person who stutters will often be more disfluent in speaking situations in which they are less comfortable and more fluent when relaxed and confident. DO establish speaking rules for students. No interrupting. No answering for others. No hurrying or acting annoyed. No pressure. DO allow extra time for responses. No rush. Everyone gets all the time they need to answer a question or speak in class. DO model a relaxed, unhurried tone and pace of speech. Model some pausing and thinking time. This is wonderful for all children that need a bit of extra time to formulate their thoughts. DO show your students that it is what they say that interests you, not how they say it. Praise their great thoughts and ideas. DO talk matter-of-factly to your student in private about what helps them. Don’t let the fact that they stutter be the elephant in the room. You might say, “I notice you stutter sometimes. I will give you plenty of time to talk when you answer in class. Is there anything else you like people to do or not do when you are talking?” Older students may give you some great insights. DO call on your student who stutters early on in a discussion. They won’t have to stress while waiting and dread their turn. You may ask them a question that has a shorter, rather than a lengthy, answer. DO allow your student to participate in all classroom events. They want to be like everybody else. DO share with other educators who work with your student. Most people welcome knowing more about how they can help. DON’T give advice. Don’t tell your student to slow down, take a breath, stop, or start over. They are already aware of their stuttering. Don’t allow other students to do it either. This increases the pressure to speak and, therefore, can actually increase the stuttering. Give them the gift of time. Wait for it. DON’T look away when your student speaks. Give good eye contact. DON’T tolerate teasing or mimicking. Ever. That, of course, goes for all children. Be watchful and intervene if this is going on. DON’T fill in the blank or finish what they are saying. DON’T pressure your student to use their speech strategies. Let them know it’s okay if they stutter. It’s a great idea to post your expectations for classroom discussions. I have created a free poster for you provided in both full and low color versions (grayscale-friendly) at Speech Sprouts on Teachers pay Teachers. To download a copy of this poster, please click HERE. If you would like more information about stuttering, the following websites are great resources: The Stuttering Foundation and The American Speech Language Hearing Association. Thank you for taking the time to learn more about stuttering! I would also like to give a heartfelt thank you to Rachel Lynette for inviting me to share with you about ways to support your students with communication disorders. 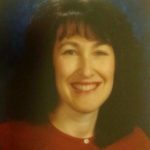 My name is Lisette, and I am a school-based speech language pathologist with 15 years of experience working with children ages 3-12. I also provide speech therapy services to adults in medical and rehabilitation settings. 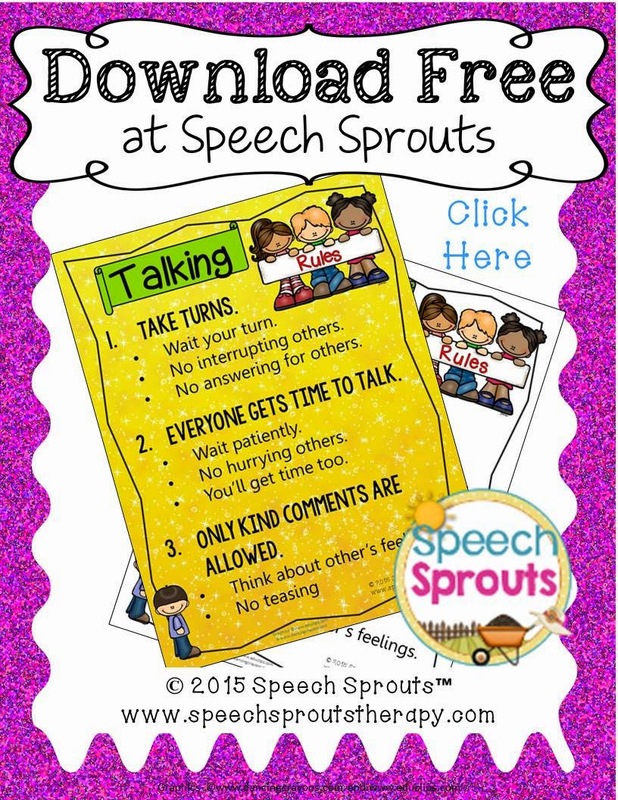 My blog is Speech Sprouts, where I share ideas for speech and language learning for preschool and elementary children. I use lots of children’s literature and thematic play in therapy; I also love creating original speech and language materials found at Speech Sprouts on Teachers Pay Teachers. I would love to have you come visit! Thanks for your information. Will be very handy as I have a student in my class this year that stutters. We also have the same name. Very rare! Thank you for this wonderful list. It can be hard as a teacher (especially in elementary schools) to be patient when students are taking a long time to speak. I think the print out you have is a great addition to any classroom! It's important to help prepare students who stutter to not feel self conscious about speaking in class early on. Thanks again! Ive been stuttering for a few years and it’s never really impacted me greatly, I have been teased though and most people think I can’t pronounce a word when in reality I just can’t get it out. Thank you for this, every teacher and parent needs to read this because most kids that stutter are dismissed and not sent to speech therapy and they either outgrow it or it just gets worse.